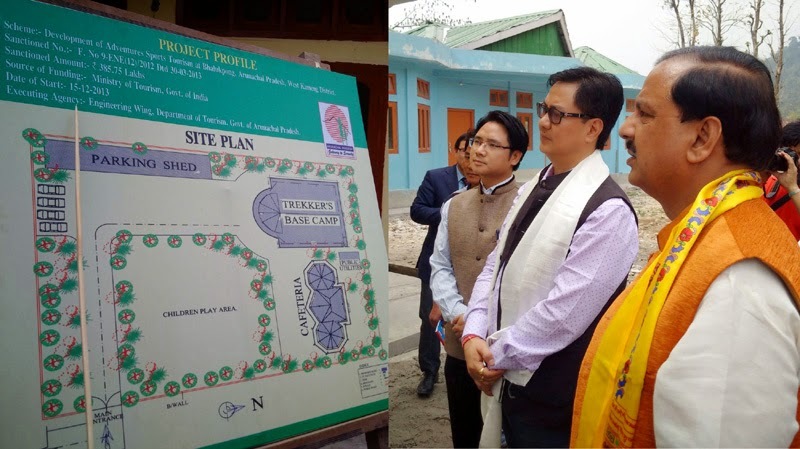 The Minister of State for Culture (Independent Charge), Tourism (Independent Charge) and Civil Aviation, Dr. Mahesh Sharma with the Minister of State for Home Affairs, Shri Kiren Rijiju on an inspection visit to Adventure Camping site and Tourist Lodge, at Bhalukpong, Arunachal Pradesh on April 17, 2015. Mrs. Melinda Gates, co-chair of the Bill & Melinda Gates Foundation meeting the Union Minister for Women and Child Development, Smt. Maneka Sanjay Gandhi, in New Delhi on April 17, 2015. 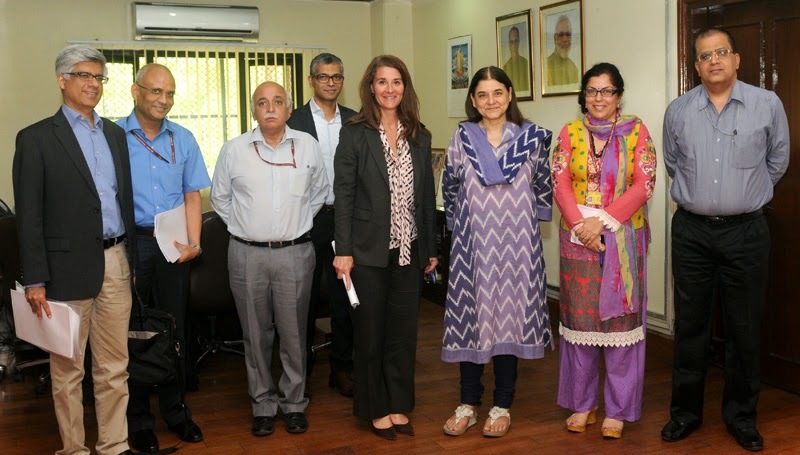 Mrs. Melinda Gates, co-chair of the Bill & Melinda Gates Foundation meeting the Union Minister for Women and Child Development, Smt. Maneka Sanjay Gandhi, in New Delhi on April 17, 2015. The Secretary, Ministry of Women and Child Development, Shri V.S. Oberoi and other dignitaries are also seen. 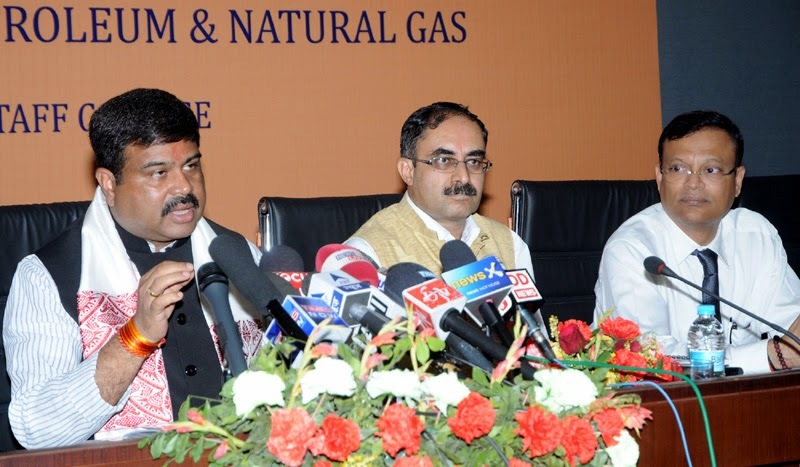 The Minister of State for Petroleum and Natural Gas (Independent Charge), Shri Dharmendra Pradhan addressing a press conference, in Guwahati on April 17, 2015. 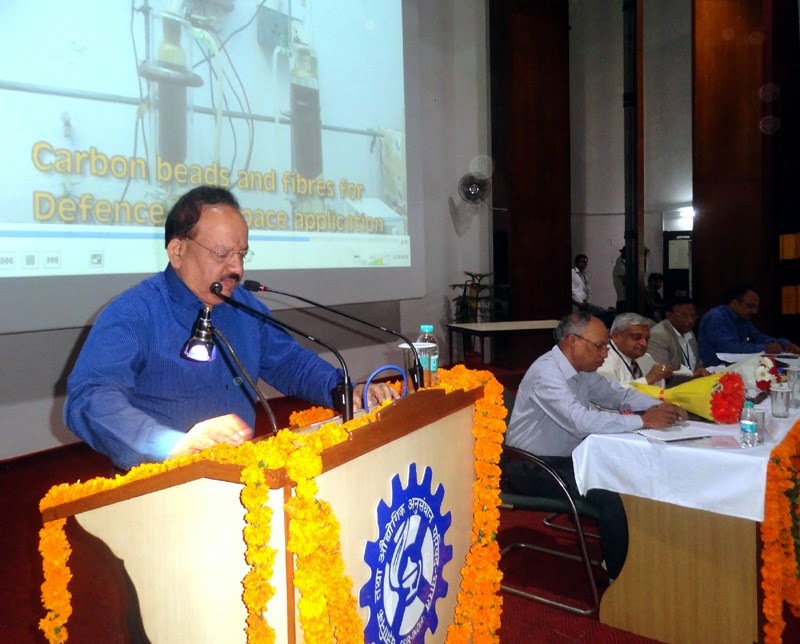 The Union Minister for Science & Technology and Earth Sciences, Dr. Harsh Vardhan addressing the gathering at the Indian Institute of Petroleum, in Dehradun on April 17, 2015. 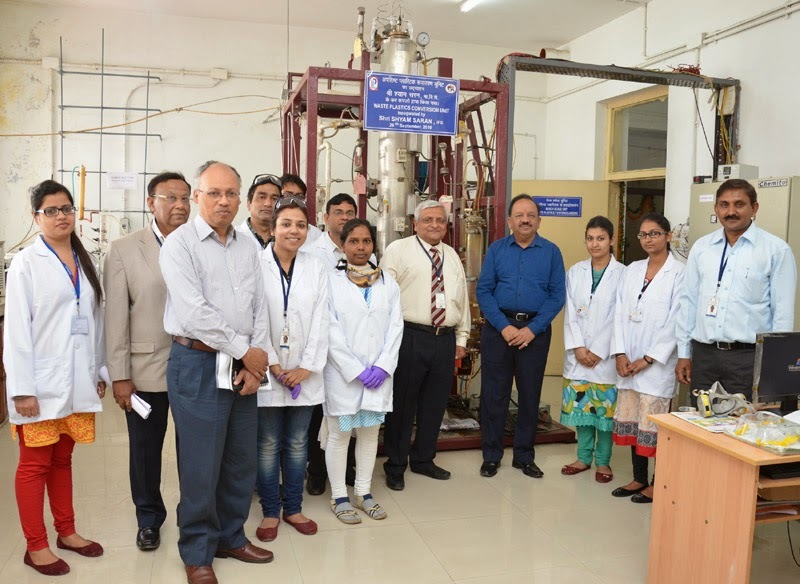 The Director, CSIR-Indian Institute of Petroleum (CSIR-IIP), Dehradun, Dr. M.O. Garg is also seen. 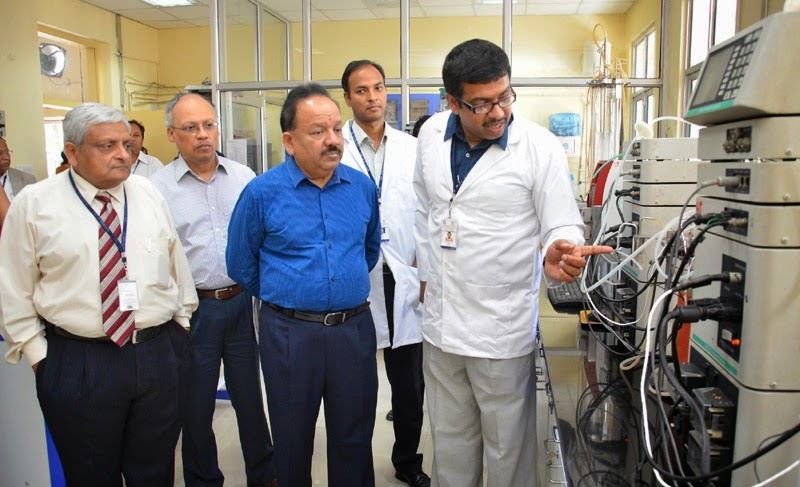 The Union Minister for Science & Technology and Earth Sciences, Dr. Harsh Vardhan unveiling the plaque to inaugurate the Advanced Tribology Research Centre, at the Indian Institute of Petroleum, in Dehradun on April 17, 2015. The Director, CSIR-Indian Institute of Petroleum (CSIR-IIP), Dehradun, Dr. M.O. Garg is also seen. The Chief Minister of Rajasthan, Smt. Vasundhara Raje Scindia meeting the Minister of State (Independent Charge) for Power, Coal and New and Renewable Energy, Shri Piyush Goyal, in New Delhi on April 17, 2015. 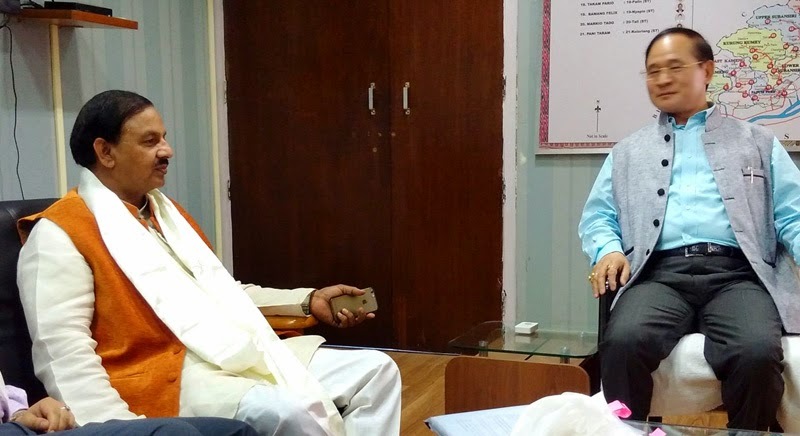 The Minister of State for Culture (Independent Charge), Tourism (Independent Charge) and Civil Aviation, Dr. Mahesh Sharma meeting the Chief Minister of Arunachal Pradesh, Shri Nabam Tuki, at Itanagar, in Arunachal Pradesh on April 17, 2015. 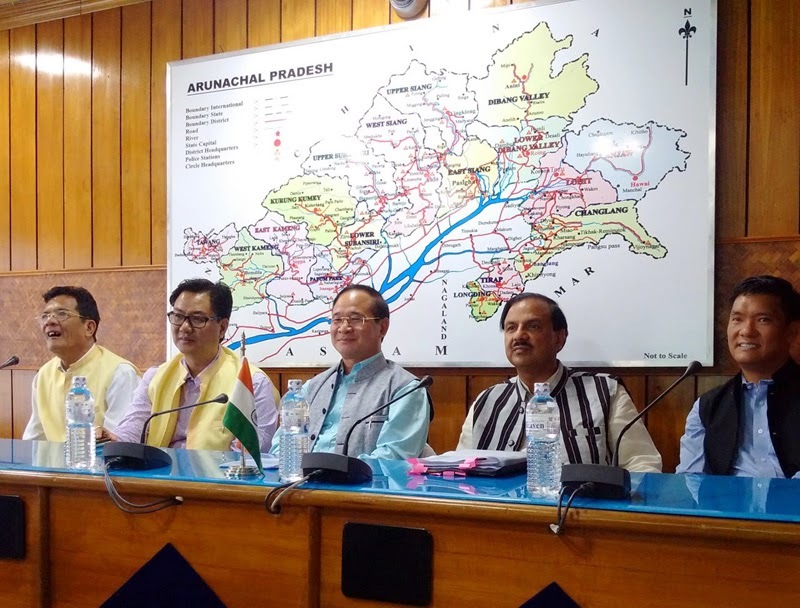 The Minister of State for Culture (Independent Charge), Tourism (Independent Charge) and Civil Aviation, Dr. Mahesh Sharma along with the Chief Minister of Arunachal Pradesh , Shri Nabam Tuki and the Minister of State for Home Affairs, Shri Kiren Rijiju at a press conference, at Itanagar, in Arunachal Pradesh on April 17, 2015. The Command Personnel Staff Officer of HQ Western Air Command, Air Commodore N.S. 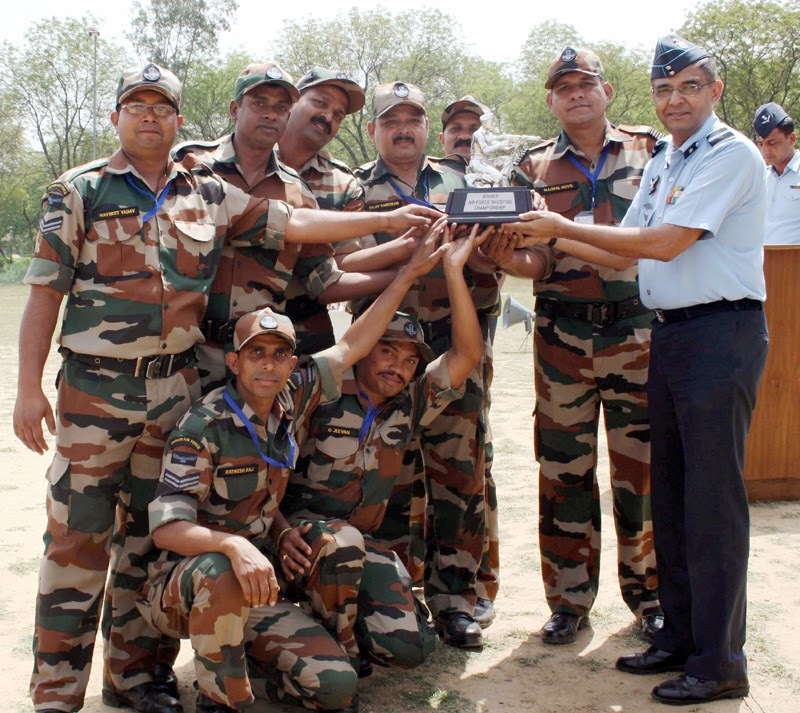 Vaidya awarding the IAF shooting championship Trophy to the HQ Training Command team, in New Delhi on April 17, 2015. 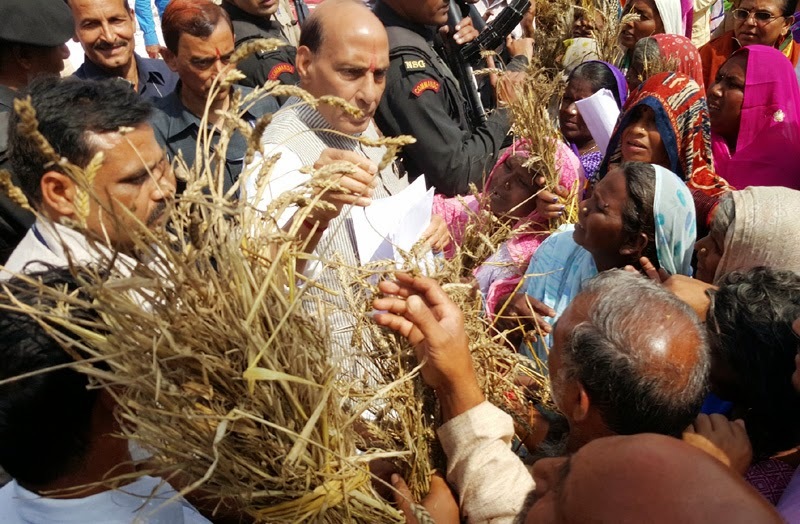 The Union Home Minister, Shri Rajnath Singh visiting the rain-hit districts of Saharanpur, Badaun and Kanpur in Uttar Pradesh, to assess the crop loss to the farmers, on April 17, 2015. 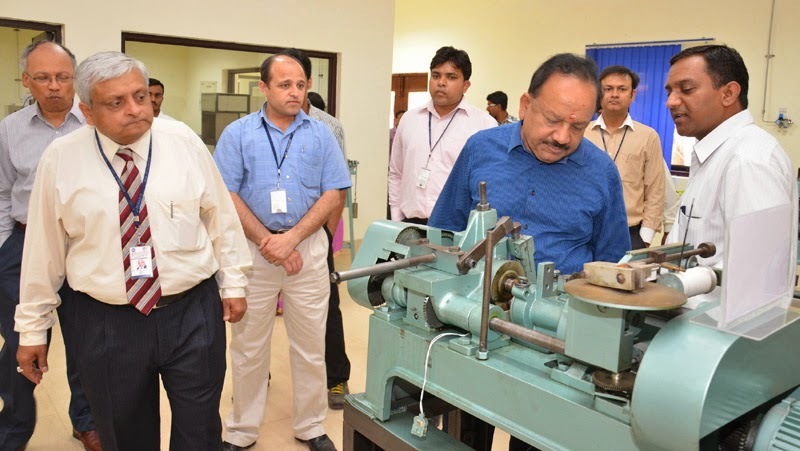 The Union Minister for Science & Technology and Earth Sciences and Vice-President of CSIR, Dr. Harsh Vardhan visiting the Indian Institute of Petroleum, in Dehradun on April 17, 2015. 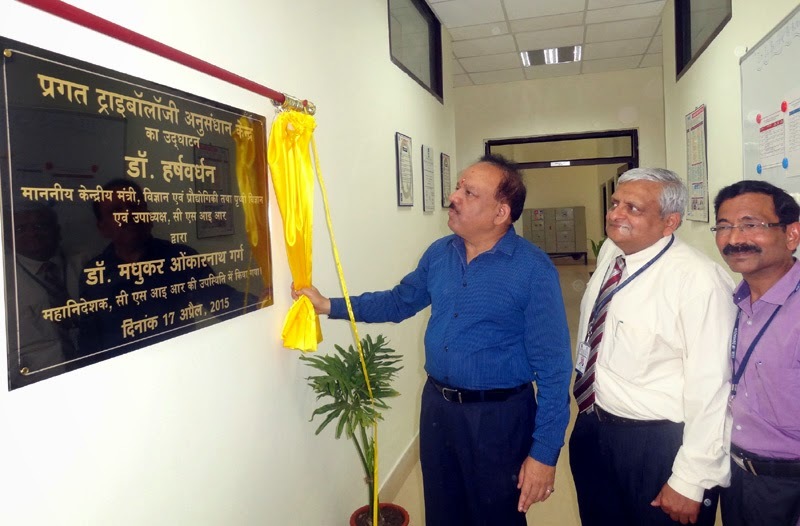 The Director, CSIR-Indian Institute of Petroleum (CSIR-IIP), Dehradun, Dr. M.O. Garg is also seen. 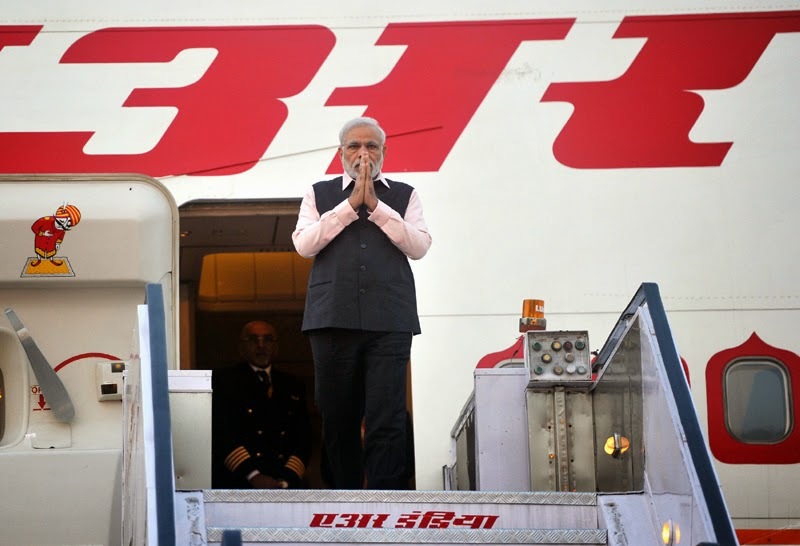 The Prime Minister, Shri Narendra Modi arrives after his three nation visit to France, Germany and Canada, in New Delhi on April 18, 2015. 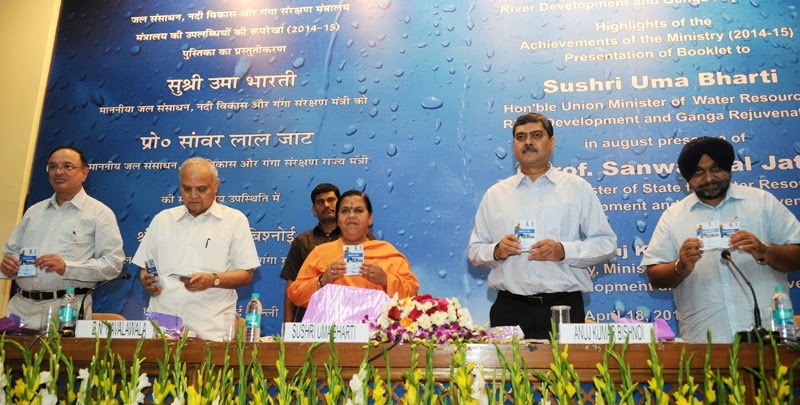 The Union Minister for Water Resources, River Development and Ganga Rejuvenation, Sushri Uma Bharti released the Booklet and Pocket Book on the initiatives and achievements of the Ministry of Water Resources, River Development and Ganga Rejuvenation, in New Delhi on April 18, 2015. The Secretary, Water Resources, River Development and Ganga Rejuvenation, Shri Anuj Kumar Bishnoi is also seen.